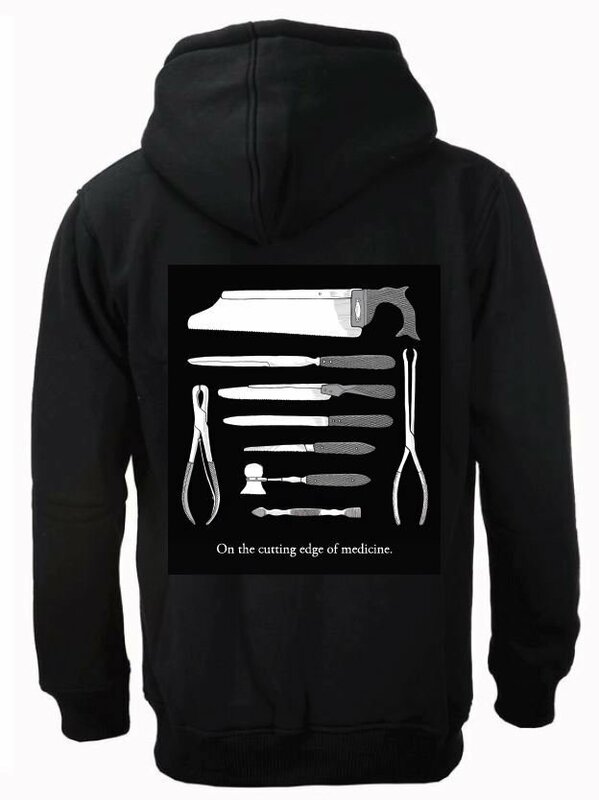 On the Cutting Edge of Medicine black zip up sweatshirt with hood. Antique surgical knives illustration on back and IMSS logo on front. Unisex sweatshirt available in S,M,L,XL,2XL. 100% cotton.